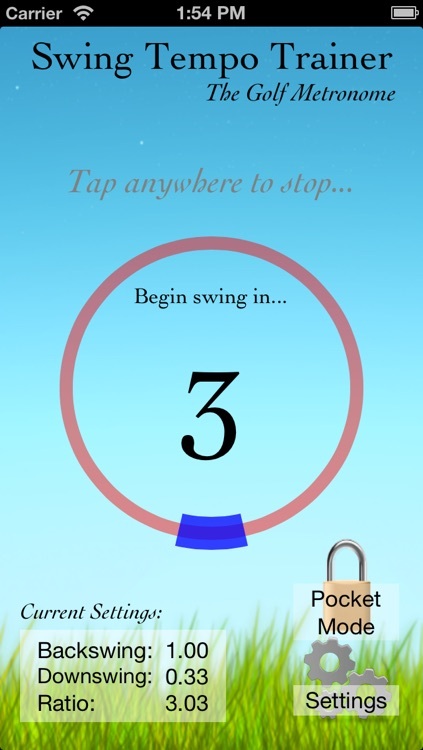 The Swing Tempo Trainer is a golf metronome. 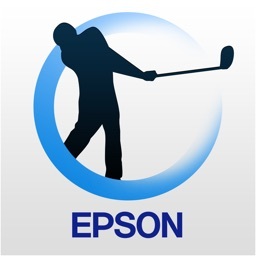 It provides a way to achieve consistant and proper timing of your golf swing - the key to improving your game!. 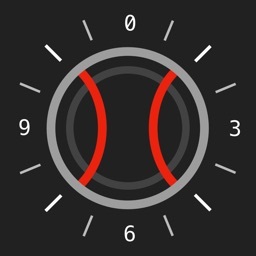 A customizable timer gives audio alerts for the times of start, top, and point of contact, as well as a countdown to start of each swing. 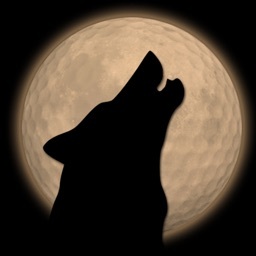 An animation of the position of the club head also provides visual feedback. IPhone and IPod Touch versions have a "Pocket Mode" to lock your device. - Change the times for backswing and downswing. 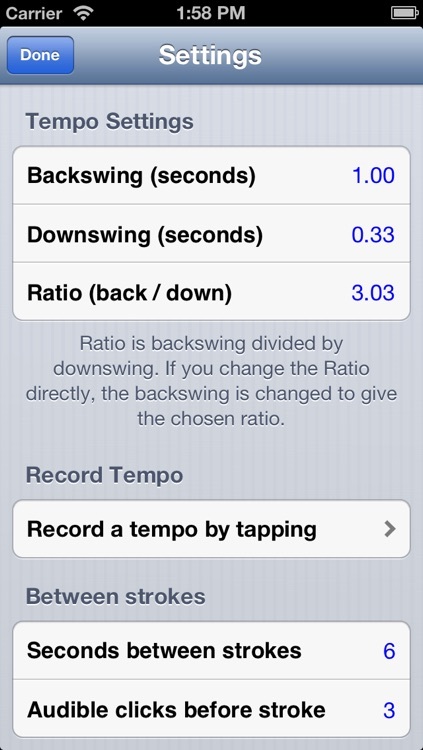 - View / Edit the ratio between backswing and downswing. 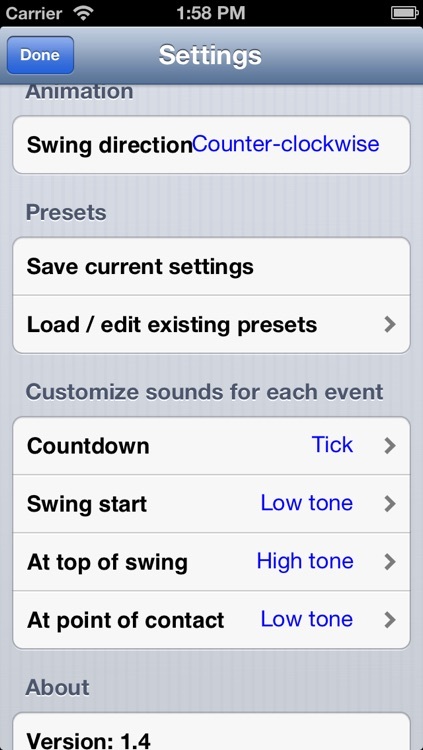 - Save and name your favorite settings. 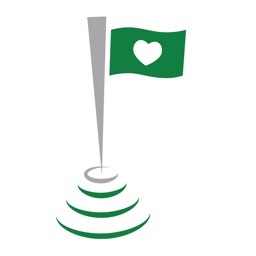 - Choose the time between strokes and how many audio alerts to play before beginning the next stroke. 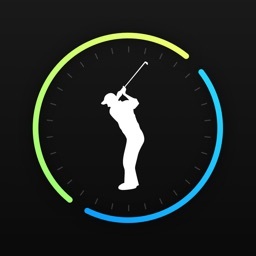 - Provides built in presets for several golf pros (Tiger Woods,Ernie Els, Payne Stuwart), measured from their actual swings. 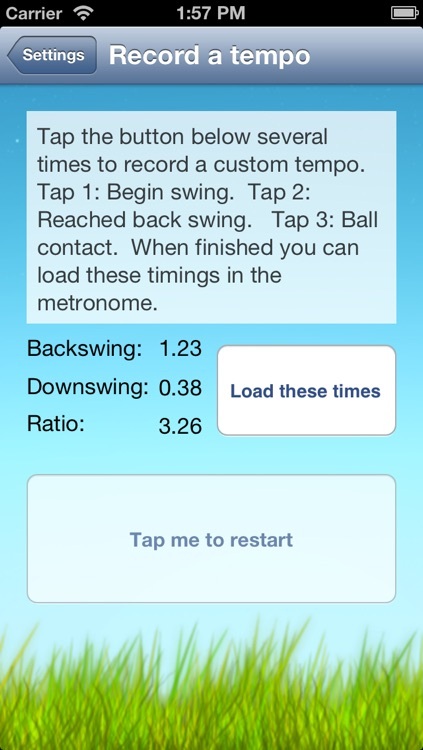 - Record a tempo by tapping on a button. This allows to you easily mimic a swing you see on video. - Choose between several sounds (or silence) for each of the alerts.